There are many different ways you can help support the Quinte West Computer Club! We've made it simple for you to show your support by purchasing any of the following items. All purchases will go into account and will be used to help raise the funds for renting a secure location for a year! This will help our computer club grow! A new facility with larger capacity, better equipment and most of all, a central location that we can use to show people that computing doesn't need to be hard. Thanks for your consideration, and lets get this club going! VIP Membership gives you a complete, all access pass to all things Computer Club. This membership is your way of helping cover the cost associated with operating the club meetings. Show your support and register today! Shipping Charges not included. 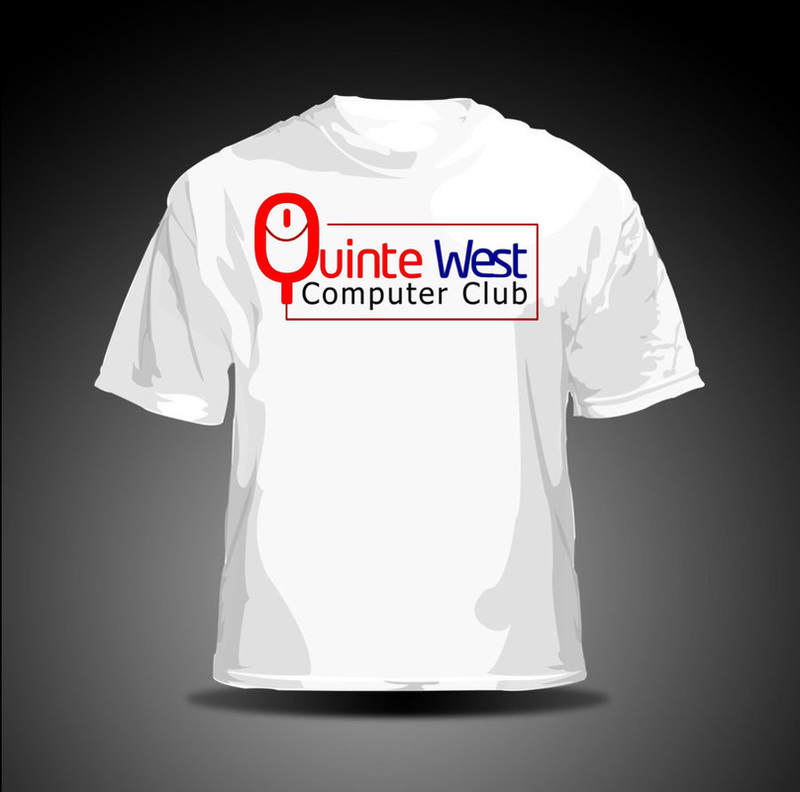 A white t-shirt with the Quinte West computer club logo, printed across the front. Back blank. Show your support! Available in S / M / L / XL.